Through the Personal Librarian Program, each 1st year student will be matched with a professional librarian who can help with finding and using library resources. directing you to the Research Help Desk at the Mearns Centre for Learning-McPherson Library, or refering you to other services in the Library. While you wait for a reply, check out our Info for Undergrads page! 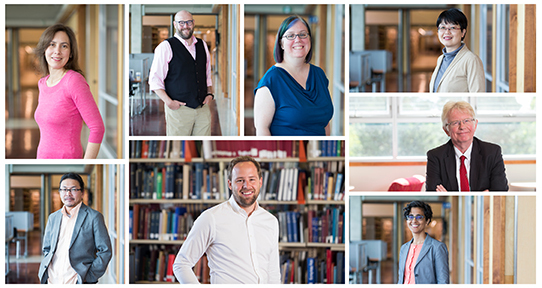 Starting in the Fall of 2014, the UVic Libraries launched a Personal Librarian Program (PLP). This program is designed to introduce 1st year students entering UVic to the many resources, tools and services available through the Libraries. Your personal librarian will contact you occasionally throughout the year to let you know about what the library can offer to help make your first year experience as successful as possible. You can also contact your personal librarian any time with questions about your research, essays and assignments. If you have questions about Personal Librarians, please contact the Personal Librarian Committee.